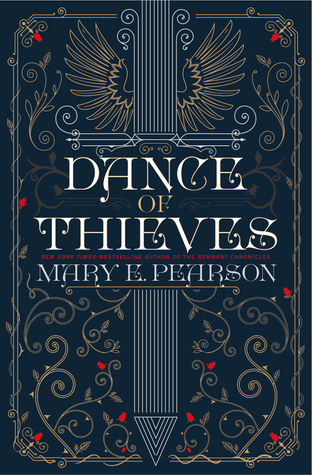 Mary E. Pearson is the NYT bestselling and award-winning author of eleven YA novels and one novella. Her works include the completed trilogy, The Remnant Chronicles, which in a starred review, Publishers Weekly called masterfully crafted. Her favorite activities as a child were climbing tall trees imagining she was a hero in some fantastical world, or running along fence tops and roofs pretending she was a spy with a bagful of amazing gadgets. She was rarely herself. Amazingly, she never broke a bone until she caught a basketball in gym class. Catching real balls was not her forte. These days she continues to live in make-believe worlds she creates in her books. Her latest 2-book series, Dance of Thieves, allows her do all kinds of dangerous things without breaking any bones. So far.